Bellwether is thrilled to be the Technology Partner of the 2018 Tulane Business Forum! The event is tomorrow, September 21 at the Ernest N. Morial Convention Center. This is a half-day event and the largest general business conference of its kind, attracting 750+ business professionals and representing over 200 companies. 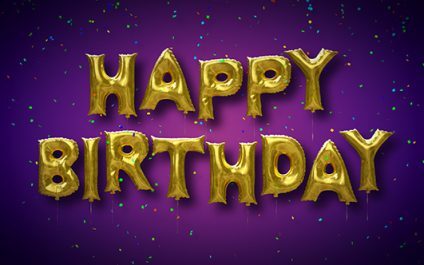 Many thanks to our hardworking staff and loyal clients. Bellwether is gearing up for GiveNOLA Day TOMORROW, May 1! GiveNOLA Day is a 24-hour event hosted by the Greater New Orleans Foundation to inspire people to give generously to nonprofits, making our region stronger. Make a donation tomorrow at givenola. 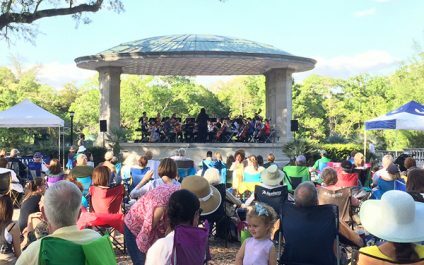 Bellwether is a proud sponsor of Audubon Park’s Music Under the Oaks concert series! The free concerts are on the following Sundays: April 8, April 15, and April 22, 5-6:30 pm. Join us, and tell your friends! All are welcome. Lawn chairs are recommended. Congratulations to Bellwether President Poco Sloss for reigning as the 2018 King of Carnival! Poco is a life-long New Orleanian, who is active in the community. We are thrilled for Poco and proud that he is our President. Happy New Year from everyone at Bellwether! We wish everyone a happy, healthy, and prosperous year and Carnival season ahead! We are thrilled to sponsor NOLA ChristmasFest this year, December 21-31, at the Ernest N. Morial Convention Center! NOLA ChristmasFest offers the only indoor ice skating rink in New Orleans, two captivating, 120-foot real ice slides, and more! The holidays are here, but the email scammers don't take a break! Beware of Black Friday and Cyber Monday phishing attacks. Stay alert, and think (twice) before you click. Bellwether is thrilled to be a Captain sponsor of the Stake Out for Justice 2017 luncheon. Hosted by the New Orleans Police & Jushttps://web.archive.org/web/20180818213735/https://nopjf.org/events/soj/tice Foundation, the event will happen November 1 at the Sheraton. Bellwether is thrilled to be the Technology Partner of the 2017 Tulane Business Forum. The 38th annual conference is tomorrow at the Ernest N. Morial Convention Center, 8 am - 1:45 pm. It is the largest general business conference of its kind in the area, attracting more than 750 business professionals and representing over 200 companies.